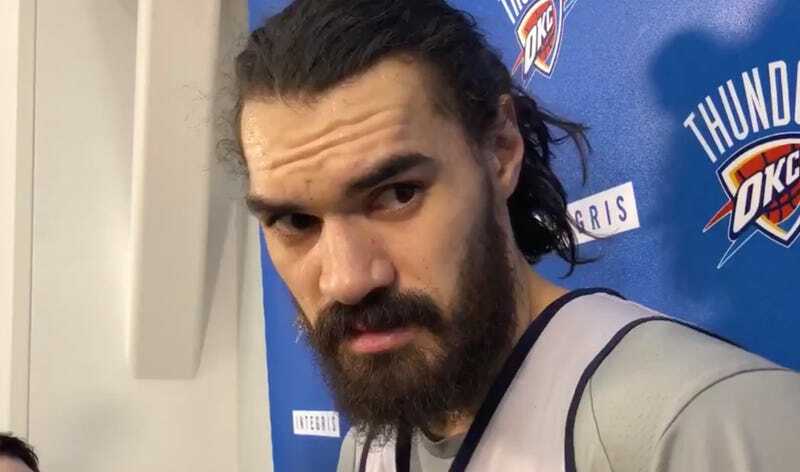 Steven Adams On Autobiography He Wrote: "I Can Barely Read, Mate"
Steven Adams has an autobiography coming out this year with author Madeleine Chapman. The Oklahoma City Thunder center talked about it today when prompted, and it’s clear that he worked very hard on it. Steven Adams is the best.